PATNA: Rashtriya Janata Dal (RJD) president Lalu Prasad Yadav may be passing through, perhaps, the worst phase of his political career, but the wit and humour for which he is universally known remains very much alive. A jam-packed court hearing another corruption case against him burst into laughter several times on Wednesday when the RJD chief got involved in lively discussion with Justice Shivpal Singh who only last week had handed out a three-and-a-half year imprisonment term to him in the fodder-scam case. 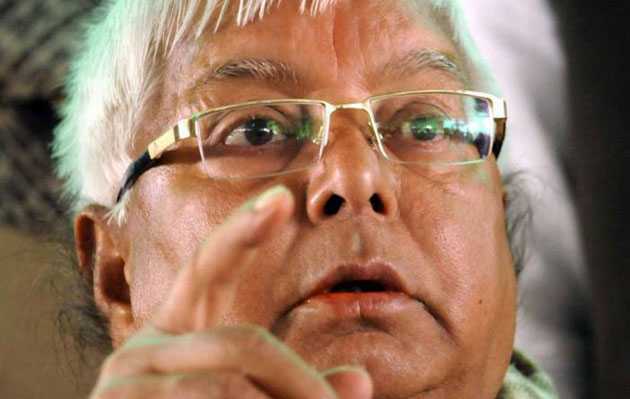 The height of proceedings came when Lalu, in a lighter vein, warned of “massacres” if crowds of his supporters were prevented from meeting him in jail. The conversation lasted for some 30 minutes during which the judge too wasn’t able to stop himself laughing heartily, as per reports. It all began when the judge inquired of Lalu if he faced any problem in jail. “Sir, the jail administration is torturing me. I am a mass leader, but the jail administration has allowed only three persons to meet me in a week. Please pass an order to the jail authorities to allow more people to meet me,” Prasad urged the judge in court. The judge refused to oblige, saying that was the reason he had recommended the fodder scam-accused be shifted to an open jail where he could stay with his family and enjoy various facilities. The judge, while passing the judgement, last week had recommended that the fodder scam convicts, including Prasad, be shifted to an open jail in Hazaribagh town in Jharkhand as “they have experience in cow farming”. Prasad countered by stating the entire force of Jharkhand would have to be deployed in his security in the event of him being shifted to an open jail since huge crowds of his supporters would come to meet him every day. “They will come out in large numbers to meet me and it will create a law and order problem before the government. People will take out marches to see me and the government will have the entire police force deployed to control the crowd,” he remarked. The judge responded by stating that the court will pass the order to prevent people from taking out marches and reaching jail to which Prasad warned of “massacres”. “There will be mass killings if the crowds are stopped from meeting me,” the RJD chief threatened in a lighter vein. The judge assured him there were no chances of ‘massacres’. The court was again in splits when the RJD chief said he would have enjoyed about a week in the jungles of Jharkhand if he was acquitted in the case by the court. He also said he would have invited the judge to his home in Patna and thrown a grand feast for him during Makar Sankranti had he got an acquittal. The court again witnessed some lighter moments when the RJD chief advised the judge to award him only 2.5 years of jail in the next case. “I had thought of enjoying the festival in the company of my family. I would also have invited you there,” he remarked to which the judge accused him of messing up his own case. “You spoil your own case. You speak in advance (before we decide),” the judge remarked.